The use of gas and other non-diesel fuels is on the rise at sea. Liquid natural gas (LNG) tankers are at the forefront of this trend, quite simply because it makes sense to be propelled by the cargo on board. This poses new challenges and increases the focus on LNG as a fuel and as cargo. And that in turn places new demands on gas combustion technology. 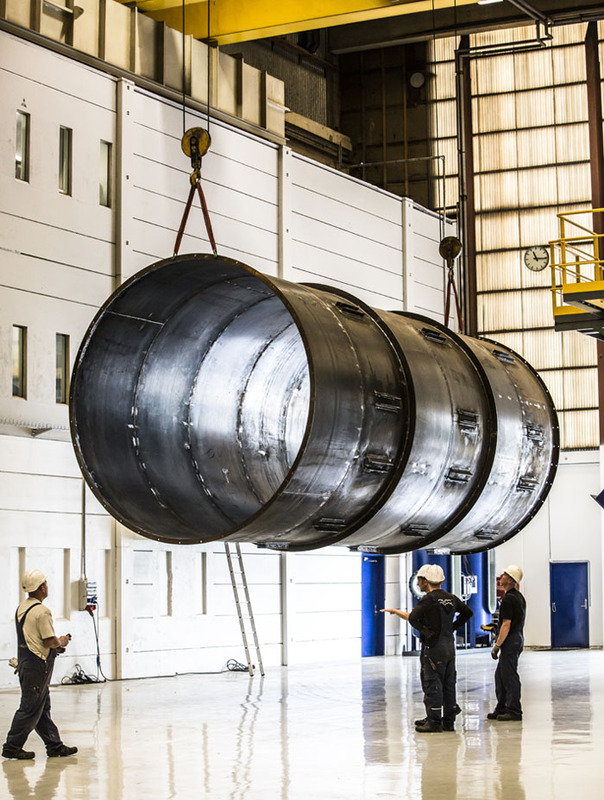 At the Alfa Laval Test & Training Centre in Aalborg, Denmark, development and testing are underway into the solutions that the marine industry will increasingly require. The first phase of the Alfa Test & Training Centre, covering 250m2 of the hall, was opened in 2014. It is a unique centre that can be likened to a functioning commercial vessel on land. 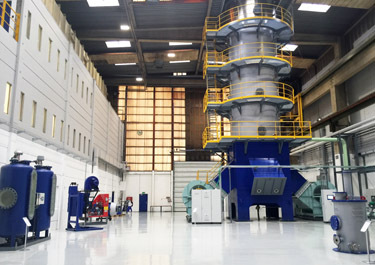 In January 2017 – exactly a century since Alfa Laval sold its first separator to the marine industry – Phase 2 was completed, representing a five-fold expansion of the testing and training area. The prime purpose of Phase 2 is to develop modern combustion technologies for multi fuels such as gas. These developments are expected to boost energy savings and support low-emission technology. The shipping industry is currently dominated by the use of marine oils, mainly heavy fuel oil (HFO) and marine gas oil (MGO). According to Lloyds Registry, the share of HFO will be as low as 40% by 2030, due to environmental concerns. Liquefied natural gas (LNG) represents the most viable alternative fuel to HFO for ships. LNG is an attractive, alternative because it reduces NOx by 85-90% and virtually eliminates SOx. By 2030, it is expected that 7,000 vessels will be sailing with LNG, compared with a mere 500 in 2015. Marine engine manufacturers offer dual or triple fuel engines that can be operated with the above-mentioned fuel options. A number of other liquid fuels can be used in these engines, namely liquefied petroleum gas (LPG – a mixture of propane and butane), methanol, ethanol, and di-methyl ether (DME). 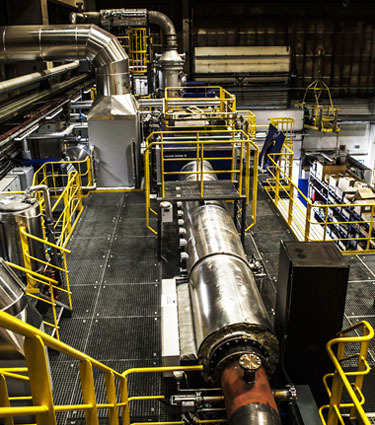 The Test & Training Centre features a full-scale gas combustion unit for simulating the largest units needed at sea. The Alfa Laval Test and Training Centre is located in a construction hall of the former shipyard at Aalborg in Denmark. The equipment is steered from a dedicated control room and can also be steered remotely. Phase 1: Inaugurated in 2014. 250 m. testing space under actual operating conditions using a 2 MW marine diesel engine. Features major process lines: fuel line, steam line, exhaust gas line and ballast line. Phase 2: Construction began in May 2016. Testing began on full-scale GCU in September 2016. Combustion technology testing will commence in February 2017. Lifting capacity of cranes: 2x23 tonnes to a height of 12m. Major research collaborations: Aalborg University, Technical University of Denmark in Lyngby, and RWTH Aachen University in Germany, and marine engineering colleges in Denmark and Norway.